The main change this year, in comparison with 2018, is that all horses will have to enter the arena three (3) times, of which at least two (2) participations must be in CDI events. PRE National Trainer Jürgen Koschel will oversee horses and riders during the 3 or 4 sessions prior to the final selection. Likewise, he will decide, together with the Dressage Commission, the entry order with the corresponding names. All pairs seeking to participate in the 2019 World Breeding Dressage Championships for Young Horses need to attain their averages as of their three (3) best performances at international (CDI-YH) and national (CDNYH) competitions, with at least two (2) being at a CDI-YH: (I1+I2+N1) /3 event or (I1+I2+I3) /3. The aforementioned averages must be equal to or greater than 70% in the case of 7-year-old horses and 75% in the case of 5 and 6-year-old horses (*). As established in the Competition Rules and Regulations, priority will be given to those national breeds registered with member associations of the WBFSH. Currently, this corresponds to the PRE (Purebred Spanish Horse) and CDE (Spanish Sport Horse). The result total, expressed as a percentage (%) will be tallied to evaluate each pair, with this being no less than three (3). Results in percentages, earned by any pair at a CDI-YH competition may be included in the tally to substitute results earned at a CDN-YH event, but not the other way around. Only those results earned between January 1 and June 25 (inclusive) of this year 2019 will be taken into consideration. PRE and CDE horses ridden by riders who are Spanish nationals, who compete abroad and who surpass the criteria as established in the Rules, may be eligible within the quota for Spain. Said riders may include results earned in their country of residence in their tally, if and when said tests are officially accepted by FEI legislation as established for that category. PRE and CDE horses that surpass the established minimums at least three (3) times will be included on the list, in order, using the average of their three (3) best validated results. Any of the two (2) places for Purebred Spanish Horses will be taken by horses that are selected from among those that surpass the minimum prerequisites by the ANCCE Dressage selection commission and its trainer. 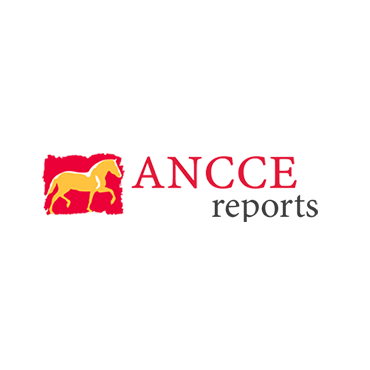 Prior to the June 25th deadline, ANCCE and ANCADES must present their respective lists with the names of both horses and riders before Spain’s Royal Equestrian Federation. Said pairs comply with the minimum qualification terms as set out by this document, and are proposed to participate in the 2019 World Breeding Dressage Championships for Young Horses. The RFHE (Royal Equestrian Federation of Spain)—as the body responsible for all World Championship entries and the validation of the entire selection process—will proceed to enter the names of the qualifying horses, distribute them in the available places according to the list presented by each Association. Should any one of the horses named on the entry form have to be removed from said list due to force majeure, injury, sales or any other reason—always attending the formal requirements and deadlines established by the FEI rules for the Championship—said space will be covered by the next horse on the list of names. In such case that there are no pairs from ANCCE and/or ANCADES meeting minimal requirements to occupy any one of the available spaces for each category, as established in this document, Spain’s Royal Equestrian Federation will allow the entry of other breeds. For this, the selection criteria established in this document and based on the rankings earned by said horses will be used. To be a member of the various RFHE (Royal Equestrian Federation of Spain) Dressage teams, the good health of the horses seeking to participate must be verified prior to approval by the official RFHE Dressage Veterinarian. This is an essential requirement for any horse to be accepted to participate in any of the teams. In this regard, all parties need to inform their own veterinarian about the need to contact the Official Veterinarian and attend the formal prerequisites that he/she may indicate to be able to undertake the follow-up to assess the horse’s good health, and as would be the case, accept it as a member of the corresponding team. If at all possible, this veterinarian examination performed by the official RFHE Dressage Veterinarian will be carried out at the same place and on the same day as the corresponding meeting of the selected athletes. For riders from Spain who wish to participate in international Dressage competitions in Spain and/or abroad, it is mandatory that all dully signed commitment documents be forwarded to the RFHE; said documents are accessible on the RFHE web site. (See Appendixes V / VI / VII / X / XI / XIV / XV / XVI Dressage 2019). Should you have any doubts regarding these documents, please feel free to contact Oihane Prieto oprieto@rfhe.com at the RFHE International Competition Department, or Pilar Maroto pmaroto@rfhe.com at the Technical Office of the RFHE. Remember that all riders must have an updated FEI passport for their horse to be able to participate in the World Championships. Information regarding economic aid for riders participating in the competitions included on the Official 2019 RFHE Planning may be found on the official web site of Spain’s Royal Equestrian Federation. To collect said aid, all requirements much be met, as well as filling out the corresponding documents, specifically created by the RFHE administration department. In the case of international processes, contact Oihane Prieto oprieto@rfhe.com at the Royal Federation office who will attend all requests. (*) Or those established by the FEI, as would be the case, for 2019.